Europe’s biggest news channel Euronews, with 3.3 million daily TV viewers in the region, is overhauling its broadcast strategy with the introduction of a new “multi-cultural and multi-lingual” approach, as part of its ongoing ‘Next’ transformation plan. From now on, the traditional single video feed will be dropped, replaced with 12 separate channels with several “customised editions” in a range of languages, with the aim of combining niche national and language-based services with worldwide reach and international outlook. 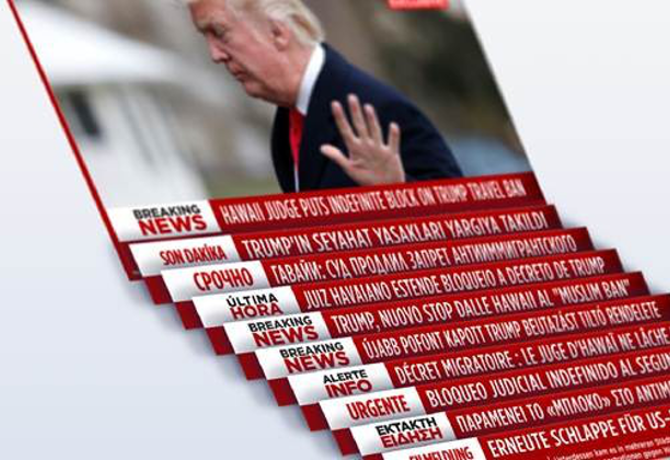 The staff on each linguistic edition will be encouraged to promote European multiculturalism by including a diverse range of opinions in bulletins, with editors picking from a shared pool of around 200 reports made by colleagues based on the political and cultural interests of their territories. Euronews chief executive Michael Peters said that customisation is at the heart of the transformation: “Euronews will adapt its output to the needs of the consumer it serves, empowering the uniqueness of our multiculturalism. “Thanks to a substantial investment in Euronews core capabilities and operations, we are creating a robust, agile and innovative organisation to become the first Glocal News brand by reinventing our approach to broadcast journalism from production to distribution. “Because we are living in a world of infobesity fed by content proliferation, and polarized points of view, at Euronews we have a strong belief that featuring the diversity of viewpoints is the best answer for a balanced coverage. “And in the current climate, we are convinced that it is more crucial than ever to let our audience forge their own opinion. At Euronews, we aim to empower people instead of imposing a unilateral perspective upon them,” added Peters.